‘Tis the season to be jolly! It’s all about giving and receiving, but finding the right gift for loved ones is only half the trouble. 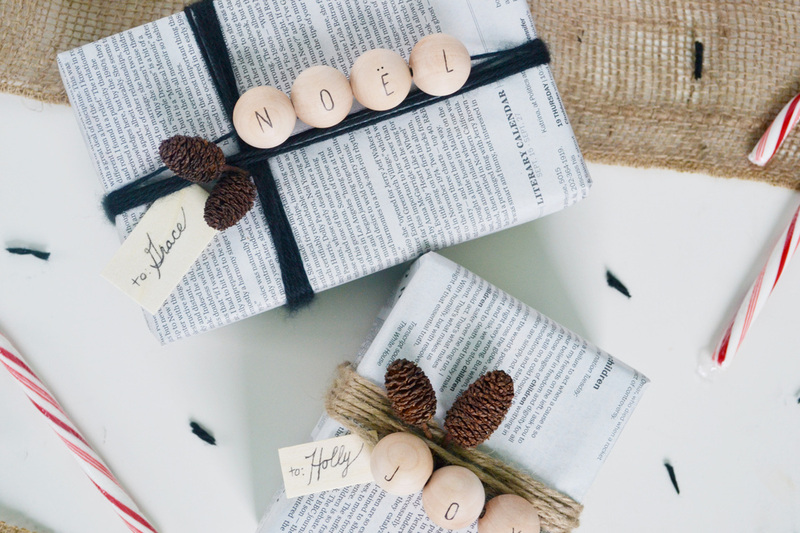 Whether you will offer a DIY or store-bought gift, you’re still left with the dilemma of what to wrap it up in. 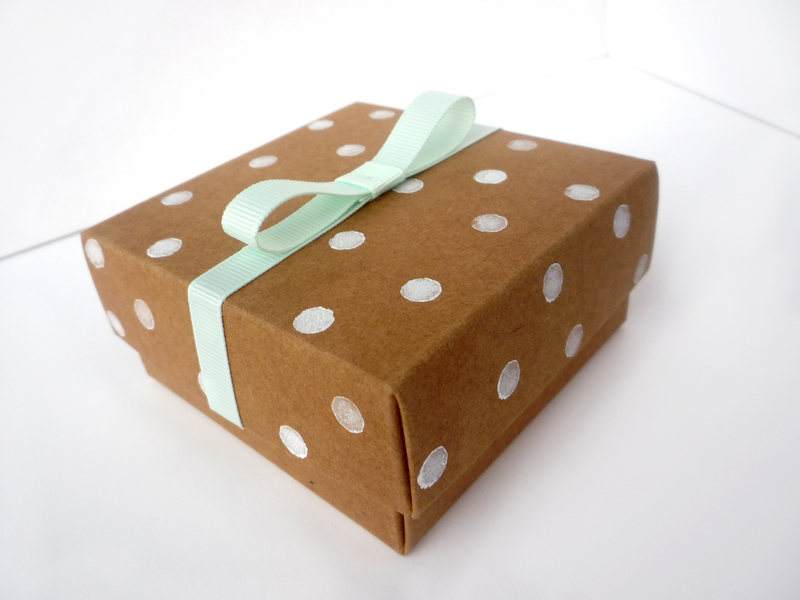 And after you’ve been doing so great green living this past year, an eco friendly gift wrap is definitely the way to go. We have relied on mountains of printed paper wrapping for too long. It’s time to find a more sustainable way to hide our gifts from curious eyes. It only takes a few seconds to unwrap a gift, and all that crumpled up paper ends up in the landfill. If you want to reduce your household’s waste over the holidays and every day, you can try any of the suggestions on our list below. 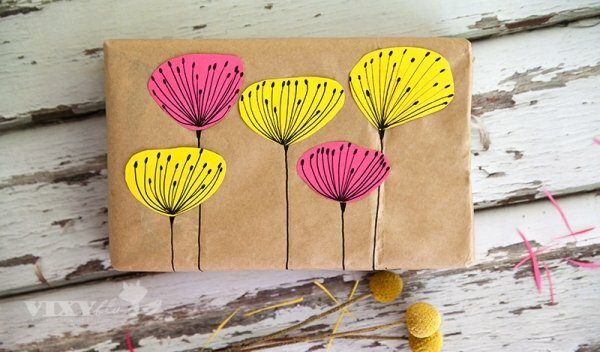 All of these are creative, more eco friendly gift wrap ideas – some are recycled, some are reuseable. Going green this Christmas will fill your holidays with fun, not waste. We all have some maps lying around – whether in your car or in that cabinet drawer you never open. Some are outdated (why is USSR there?) and some are not. But given that city dwellers nowadays rely on technology to get around, they are all useless. Maps may be obsolete, but that doesn’t mean you should throw them away. Instead, use them to as creative gift wrappers. Not only do you reduce paper waste, but you also learn to repurpose. This has been around for a while now. In the pre-gift wrapping era, newspapers were often used to conceal objects and protect them from breaking. You can make your eco friendly gift wrap even more creative by using the ‘funny-pages’ in a newspaper. They’re colorful, cute, and extremely practical. If you want to go extra-green, ask the local newspaper printer for the “but ends” of the newsprint roll. Then, use colorful crayons to jazz them up for the best green wrapping. Fabric is the ideal alternative to wrapping paper. Not only is it reuseable, but it also comes in lots of colors and patterns. This way, you don’t regret going green, as you can choose from the multitude of fabric materials on the market. 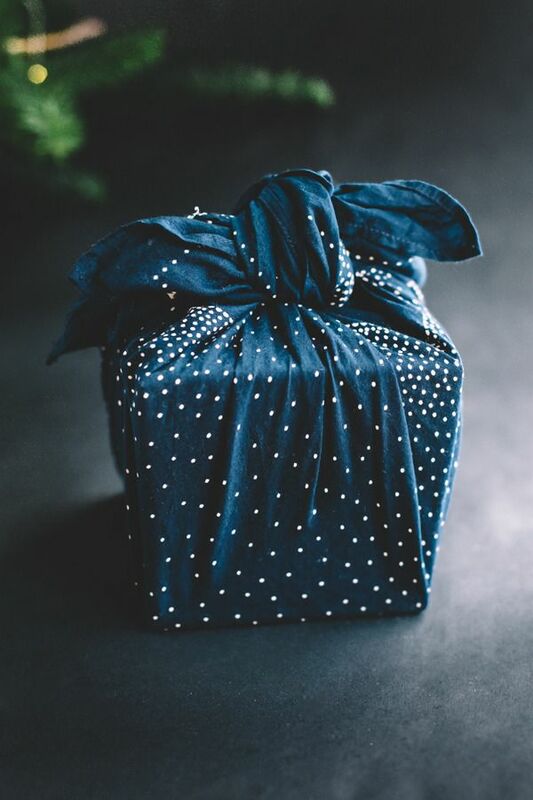 Simply look around your house for festive sheets, pillow cases, old drapes, tablecloths, or even socks that can completely cover your gift. If you find nothing to suit you, you should consider pre-made versions like BoBo Wrap or ReWrapables. Knotted, pinned, or ribbon tied – anything that looks festive works! After everyone opens their presents, fold the fabrics and save them for next year. Before reusable canvas bags, the brown paper bags were everything. People used them for all sorts of purposes, so if you have some lying around, you can turn them in green wrapping paper. Just cut the sides to make a sheet out of them and then wrap your gifts in. If you think the brown is bit too dull, it’s time to personalize them with crayons and markers. 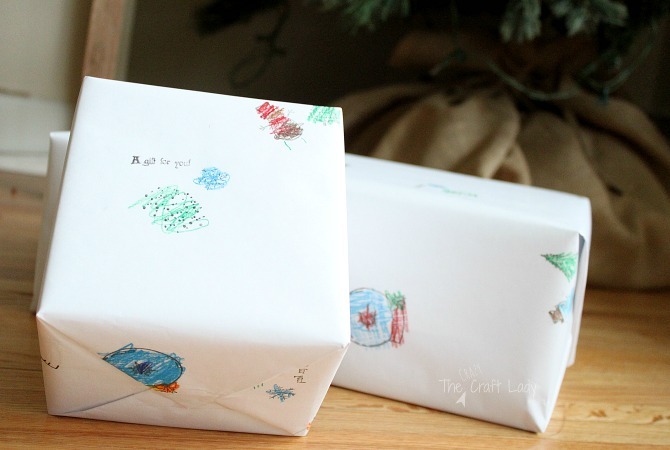 If you have kids, make this gift wrap decoration a family activity. You can find these in thrift stores or gardening shops, and they come in all shapes and sizes. You could decorate the outside of the pot with markers or paint before depositing the present inside. Don’t know what to do with the drip tray? Simply turn it upside down and use it as a lid to cover the gift. If the clay pot has no dish for catching water, set it in the center of a large square of fabric. Bundle the edges over the top and voila! This personalized gift package keeps on giving! A scarf can be a creative and unique way to wrap any kind of gifts. They are especially useful if you’re wrapping gifts for your mom, sister, or female friends. Keep an eye out for sales on large scarves as they can double their use: They make for great gift wraps (just like any other fabric) but they can also be used as they are. Two gifts in one and zero waste! Here is a quick and easy YouTube tutorial that teaches you how to wrap various objects in a scarf. Who doesn’t love the adorable artwork of children? Well, if you don’t want to see them on your fridge every day, you can always turn them in a creative wrapping for a gift. Use smaller pieces of paper that your kid has decorated with markers, crayons, or paint for smaller gifts, and bigger drawings for larger gifts. You can even make sure the receiver can reuse the artwork after unwrapping by skipping tape; instead, fold the paper on the sides and tie it with twine. We all have at least some boxes lying around the house, especially those who are avid online shoppers. 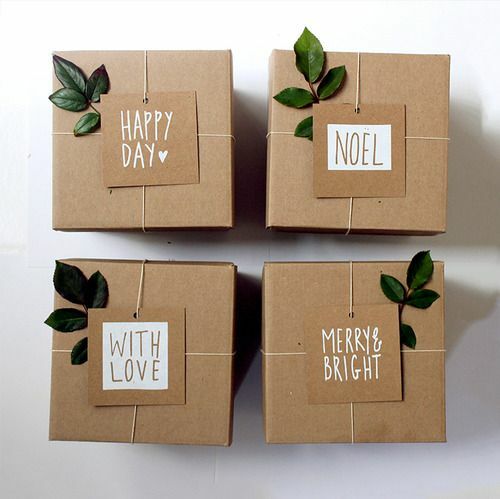 Instead of wrapping the boxes in wrapping paper, why not just put the gifts in the box, then decorate it with stamps or non-toxic paint? This way, not only are you spared the extra useless wrapping paper, but you don’t waste the packaging either! You don’t have to be a basket addict to appreciate their usefulness. They work great for decoration as well as organization of household objects. And here’s another use: Packaging gifts! The options are endless, and the wrapping can also be part of the gift. Do not hesitate to nest your gifts inside the many beautiful basket variations available on the market. If none of our ideas excite you, you can simply go ahead and design your own wrapping paper. Surely you have many unused materials lying around the house. Use scraps of paper, buttons, and materials to create something completely unique. If you’re not particularly crafty, a quick scroll on Pinterest can give life to some of your craziest ideas. Not only will you be proud of your creativity, but you will show others how easy it can be to go green.